The way in which most Courts handle these disputes is that they do not get involved in questions of religious doctrine. Therefore, they will not rule on whether one group’s religious doctrine is superior to another’s. Such a ruling would be contrary to the First Amendment. What a Court will do, and what was done in the ISKCON case, is to look to the governing rules of the religious organization in question. Assuming the institution is run by a hierarchical governing organization, a Court may look to the rules and regulations of that organization to ensure that the rules are being followed. 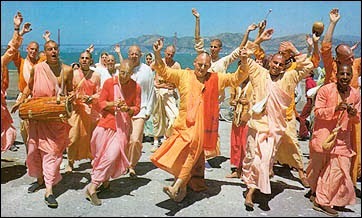 In the ISKCON matter, the Court looked to ISKCON’s internal rules, as well as the Last Will and Testament of its founder. After such examination, the Court found that the “renegade” group was not following the rules and regulations of ISKCON, and, therefore, had no right to run the Temple in question. The Court then issued an order that the group be removed from the Temple’s premises. Therefore, when such cases arise, it is important to examine the internal rules and regulations of the religious organization in question. These may be in several forms, such as corporate by-laws, or even rules written by the founders of the organization in question. This will give guidance when there may be internal disputes over authority to act on behalf of the congregation. When there is a hierarchical organization, the Courts will defer to the rules of said organization in deciding any internal disputes. Our firm handles cases involving disputes within religious institutions, and welcomes all inquiries in this area.